Wedding favors are the small gifts offered as an appreciation to the guests who are present in a wedding. These gifts are offered by the groom and bride. There are different types of wedding favors you can choose from in many different categories. Wedding favors may be cards, pens, flowers, goblets, candles, vases and so on. They vary in material and in purpose. 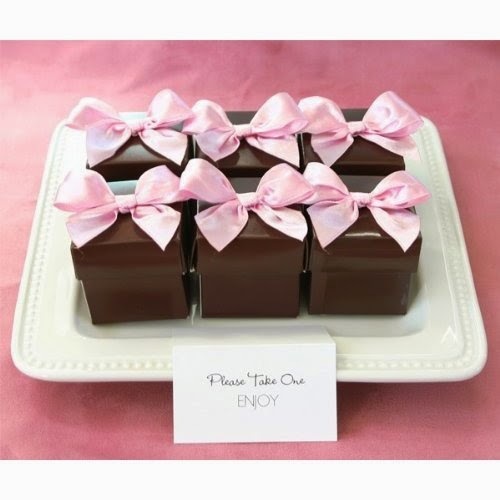 Chocolate is one of the most popular wedding favors available. 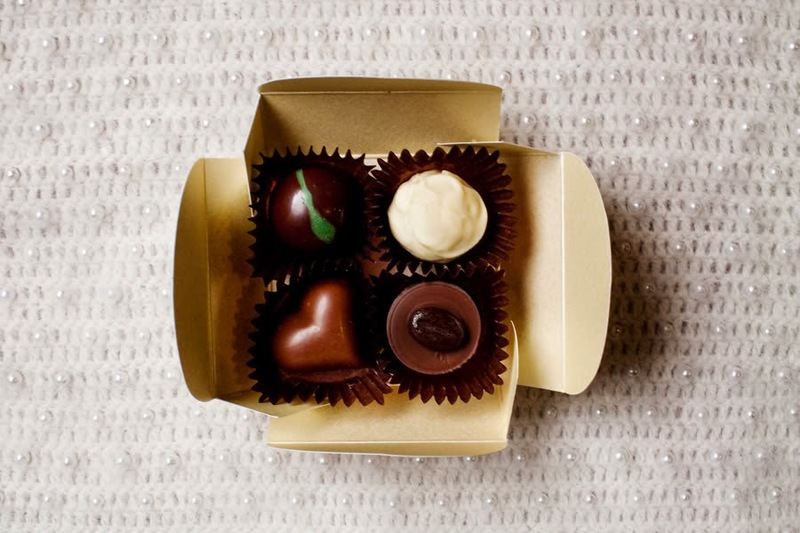 Here are few tips you should know if you are considering chocolate wedding favors. Most chocolate favors are edible and people will love to have the sweet taste at such a happy occasion. You ask, "How is chocolate not edible?" When it is merely designed to look like chocolate! For example, there are 'chocolate' candles designed to look like bon bons that are quite popular and look scrumptious on your wedding reception tables. However, real chocolate is loved by almost all and your wedding guests will love the chocolate favors. They will love to have a sweet bite of it. Chocolate favors will make the occasion one to remember and they are gender neutral and so it can be given to both male and female guests. You can give it to anybody of any age, you can give it to elder and young ones. These favors are inexpensive. You can get chocolate favors for a few bucks. While selecting chocolate wedding favors, match with the wedding theme you have for your wedding reception. Your wedding theme should be compatible with the favor you have chosen. If these two do not match then change the chocolate favor for a different favor that is more compatible. 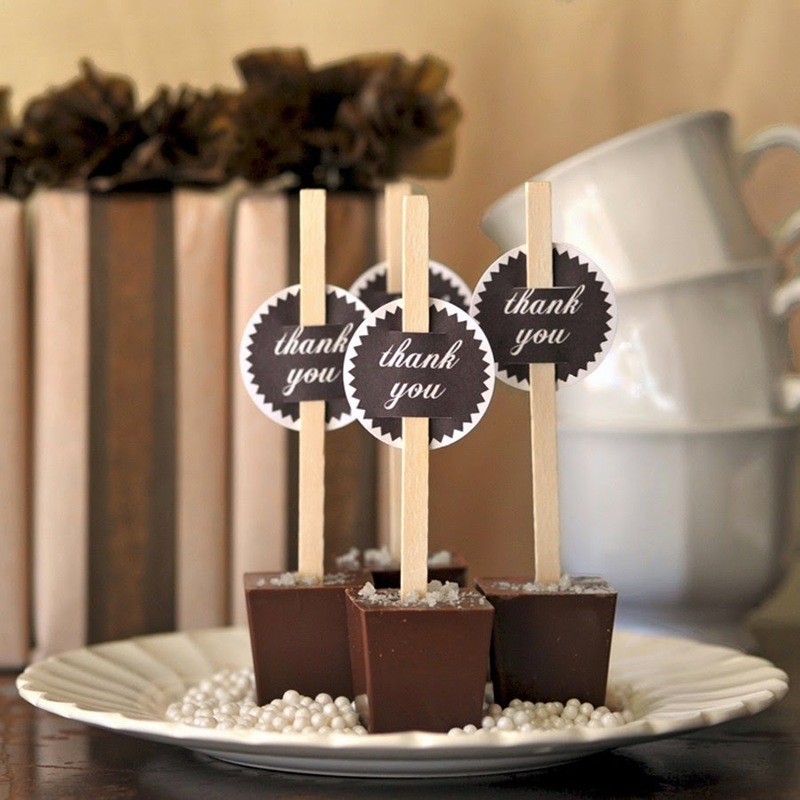 Chocolate favors come in different sizes according to your need. The material used in these chocolates also vary. Chocolates may be made of Tiramisu truffles, almond, vanilla, coconut, hazelnut, curry and lemon tea, pralines, apricot, and crème Fraiche. There are different types of chocolates like the chocolate hearts, chocolate coins, truffles, wrapper bars, gambling chips and others. Chocolate favors can be offered in different occasions other than at your nuptials like bridesmaid gifts, bridal favors, shower favors, reception favors etc. 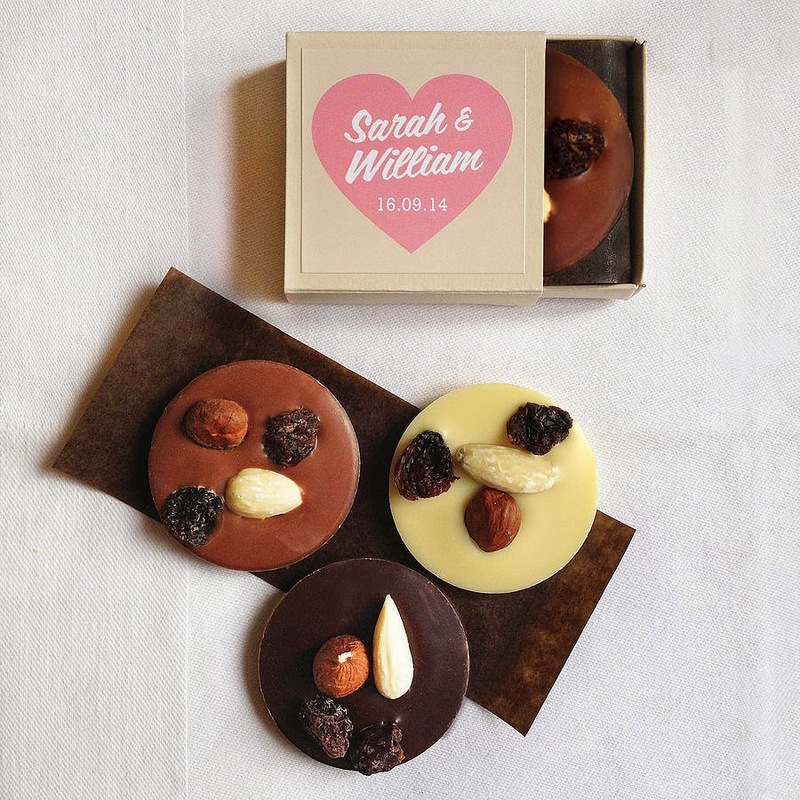 You can personalize your chocolate wedding favors also. You can personalize these favors by printing the names of the bride and groom and the wedding date on gift tags. Images, names, and colors can be incorporated in the chocolate favors. Finally, where do you find the chocolate favors? You will find them in the convenience store near your home or you will find them online at retailers that carry wedding goods. These online sellers have large selections of chocolate wedding favors to choose from.